The purpose of Historic Augusta’s Real Estate Program is to further Historic Augusta’s mission to preserve historically and architecturally significant sites in the Augusta area by bringing together buyers and sellers of historic real estate. The program seeks to resolve difficult preservation situations by acting as a clearinghouse for historic properties and to provide for the protection of the structures through preservation easements. The program targets historically significant contributing properties where the owner has a desire to enlist Historic Augusta’s assistance in finding a qualified buyer. In the program, Historic Augusta negotiates an option to purchase a historically significant site or building. Historic Augusta then markets the property to preservation-minded buyers through a number of media outlets. Once a qualified buyer is located, Historic Augusta exercises its option to purchase the property and sells the property to the buyer, retaining a preservation easement on the property. Historic Augusta may also elect to purchase or accept donations of historically significant real estate as a part of the program. The purpose of the preservation easement is to give Historic Augusta the permanent ability to protect the property against demolition, neglect and insensitive alterations, and to ensure that the building maintains its historic character. Property owners may be able to take a tax deduction for the fair market value of the easement when it is donated to Historic Augusta. 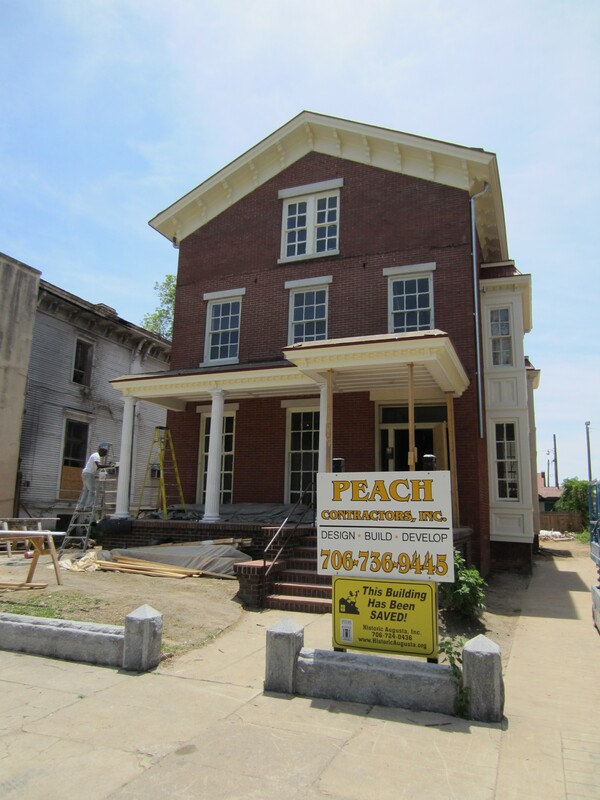 In addition to these services, Historic Augusta may assist buyers and other property owners to properly rehabilitate historic structures and to take advantage of the various tax credits and other incentives offered to owners of historic real estate. Historic Augusta will also advertise listed and unlisted historic properties free of charge in exchange for a commitment to donate a preservation easement when a buyer is identified. Information regarding the properties that are currently available for sale is available below. For more information regarding its Real Estate Program or to schedule a site visit to an available property, contact Robyn Anderson at Historic Augusta, Inc. at 706-724-0436 or by email at [email protected].